Even before knowing what the book was about, the title of “We Make the Road by Walking” (being run now by as a Bryan Alexander dispersed book club) intrigued me by its rich metaphor title. “We Make the Road by Walking” is a very tactful metaphor, meaning one that reaches into the senses, experiences. That photo at the top of the post is likely not even a good one to represent the book, but it was a sign so peculiar that I can still visualize where I saw it, standing on the hill of grass at a small reservoir in Newark Delaware, in 2011. The recall of that is not because of some learned fact, but a burning in memory of an associative experience. I am not even quite sure what that sign even means; I want to know what someone had in mind when they designed it. I do know the intent- they had this perfect hill of grass, and did not want people marching paths into its smoothness. 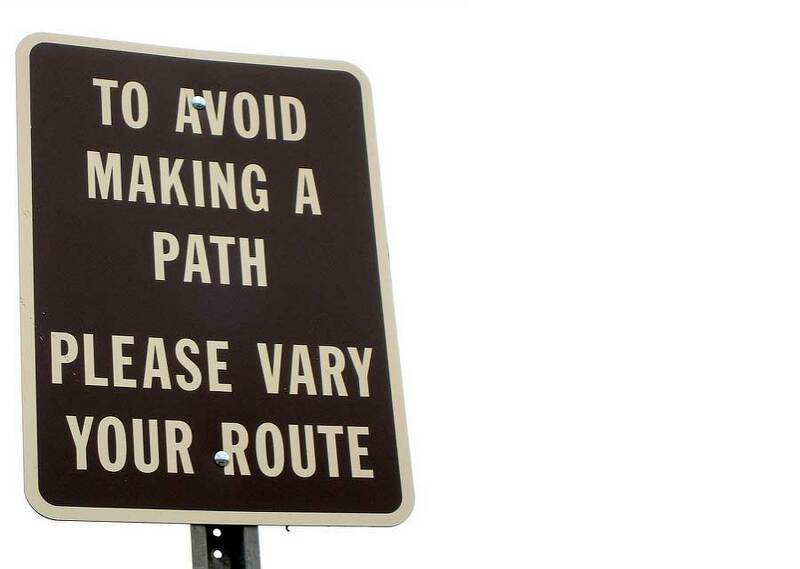 But as a reader of the sign, a learner, why do I even care about avoiding paths, and is it really going to work if everyone is deliberately walking in wildly varying routes? It so misses the mark of human understanding. 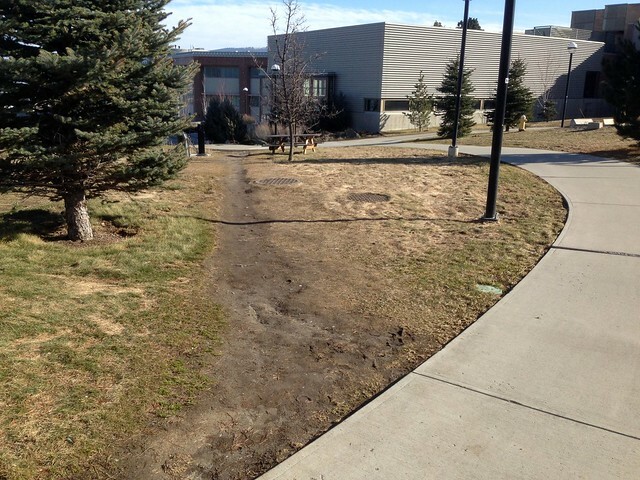 Kate Bowles writes beautifully on the metaphor of desire lines, but I had heard them earlier from a campus architect earlier. I could look up a definition, but they are the paths people make by ignoring that Delaware sign, because the elegantly designed curving walkways put in by a professional are at odds to the paths people desire. Kate pointed them out just this month as we walked the campus of the University of Mary Washington. Those are the kinds of paths the two subjects of this book talk about in the book. Here a admit my ignorance in the field; I have never heard of Myles Horton, a quick scan of Wikipedia and the books introduction kicked in I had this empty knowledge space of a remarkable educator. The fact that among many people he influences, that the Highlander school he had created was where Rosa Parks was a learner not long before her historical bus ride. Talk about a made road. And to add to me shamed ignorance pile, I know like in Jeopardy trivia style that Paulo Freire authored Pedagogy of the Oppressed. I know of its general message, but kick me out of the Critical Pedagogy clubhouse because I have not read it. I am way off the book review path. Ah, that is the connection. The commonalities of the ideas both men independently developed, in different countries, cultures, time periods are remarkable. What they both shared though, is how much of their understanding came from lived experiences. Both grew up in places of lesser means- Horton said “at the time I didn’t know it was poverty, I just thought that was the way people lived.” And rather remarkably he came to realize he was a victim of experiences, of an oppressive system, but rose to his greatness by “not feeling inferior to other people.” Was some of this a matter of a time when people did not have wide access to information outside of where they lived? That seems too simple. But again, this book title suggests that this road– which suggest more than a convenient path, but a capital Road to a place worth going to as a community as a society– happens by the direct action, the hard work of people. The ideas outlined by both men to realize that as teachers they had to work from a place of knowing there was knowledge their students had (e.g. not the empty vessels to be filled). Yet neither fall into simple binaries- reading, knowing history deeply is foundational to their philosophies, that goes in hand with the experiential learning. I was a bit curious about the design of the book as a conversation, but it plays out as good as watching two different musicians improvising together. It comes alive with their personalities, their humbleness, and their grandness. Their clear affirmations that there is more they don’t know than they do, or that they are always in a process of growth/learning hits me right where I live (that’s a good thing). Could a book on “Conversations on Education and Social Change” be possibly more timely? I have no grandiose summaries, but have to say that not even finishing chapter 2 (that Bryan is a speed reader, he’s already done chapter 3) that I am relishing this conversation of ideas masked as a book. I feel like I am sitting in a circle with these two great minds. Going back to the title of this post, I tossed in the word “bushwhack” ?bo?oSH? (h)wak/ defined “to live or travel in wild or uncultivated country.” I think of my daily walks with the dog in the neighboring forest land. There are no trails with signposts, but there are obvious ones where others (including me) have walked before. 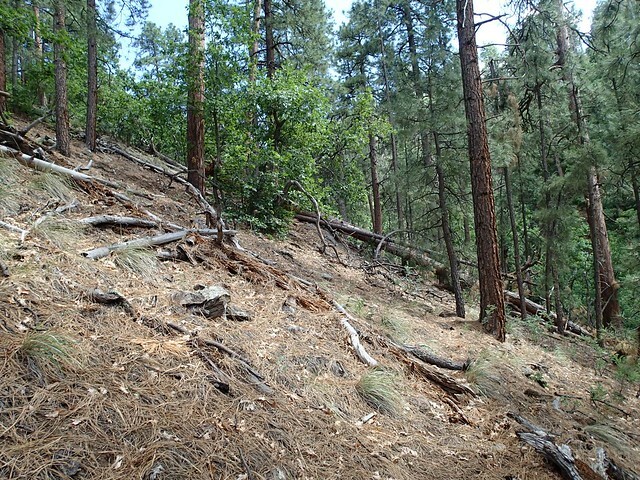 The more you walk, you begin to recognize the less obvious paths that cross it, game trails created by deer, elk, and coyote. These are my curiosity trails, sometimes leading to more obvious trails but also sometimes a thick mess of brambles. And sometimes I just make a guess as to the best route. Sometimes I know where I want to go, and sometimes I am more interesting in where I wander. And sometimes I just vary my route for the heck of it. I’ve been feeling allergic to all talking head material on teaching (a form of retired teacher PTSD), and I felt like I’d had my fill of Freire, so I was going to give this book a pass. However, your fresh enthusiasm for the material almost persuades me otherwise.